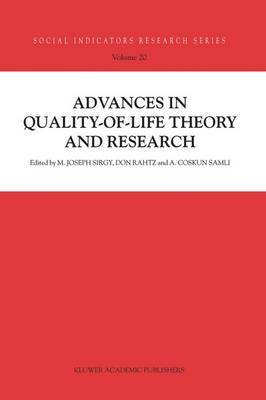 This volume is relevant to quality-of-life researchers working in the areas of social medicine, sustainable development, social indicators research and health psychology/behavioral medicine. It represents a culmination of programmatic research in the science of QOL. The research methods and conceptual models used are exemplary and can induce QOL researchers to conduct future research in other cultures, geographic areas, and different socio-economic and demographic groups as well as in different QOL domains.